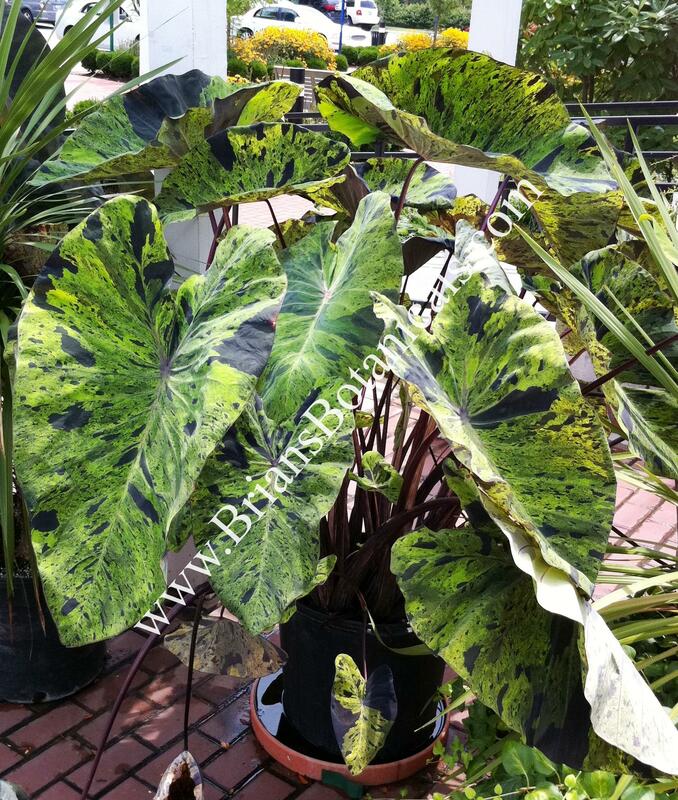 Colocasia Mojito is a highly colored mutation from tissue culture found by Ty Strode. The foliage is a lime green color with blotches of black making a really it a really self contrasting plant. The petioles are dark pink to white with black streaks. Plants grow 3 to 5 feet tall with leaves 1 to 2 feet long and wide. Situation: Full Sun part shade.